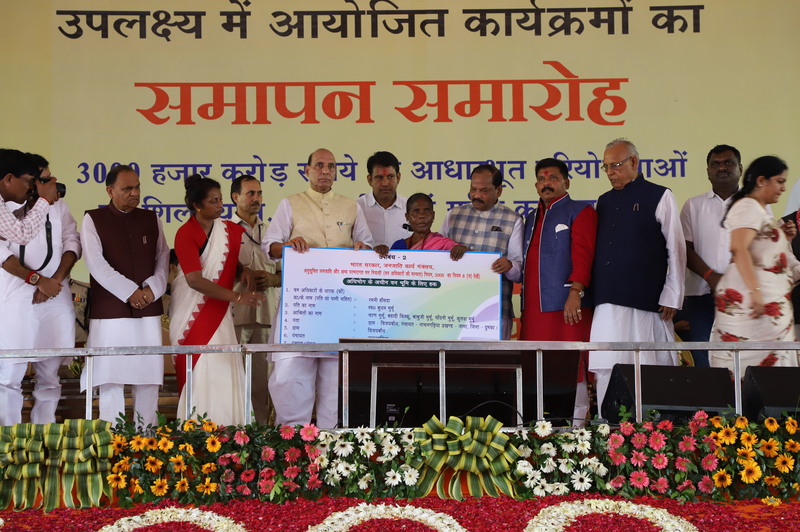 HM Shri Rajnath Singh applauds work of Jharkhand CM, reaffirms govt’s commitment towards the welfare of people. 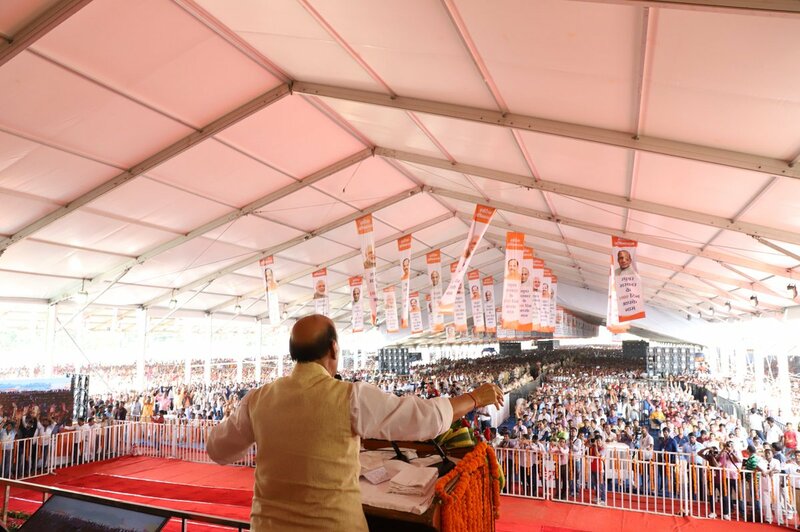 Union Home Minister Shri Rajnath Singh on Friday addressed a public gathering at Dumka district in Jharkhand. 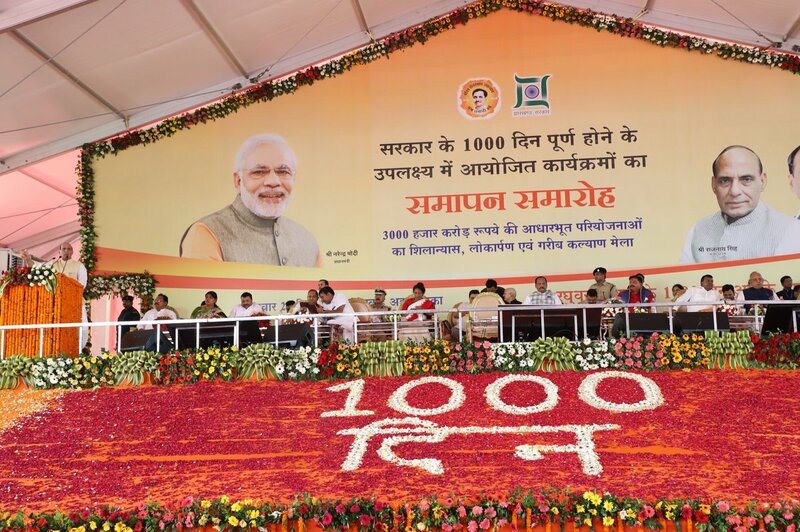 He was speaking at the event organised to mark the conclusion of various programmes organised to mark the completion of 1000 days of BJP government in Jharkhand. The event also witnessed the inauguration of various projects and schemes worth more than Rs 3000 crore. 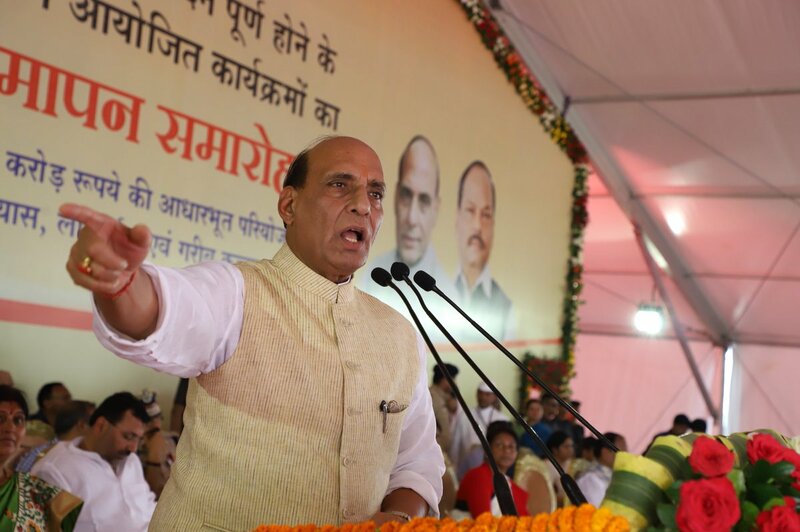 While addressing the event Home Minister said that Naxalites who wish to lay down arms can do so in accordance with the surrender policies of the states concerned and their surrender, will be considered “case by case”. 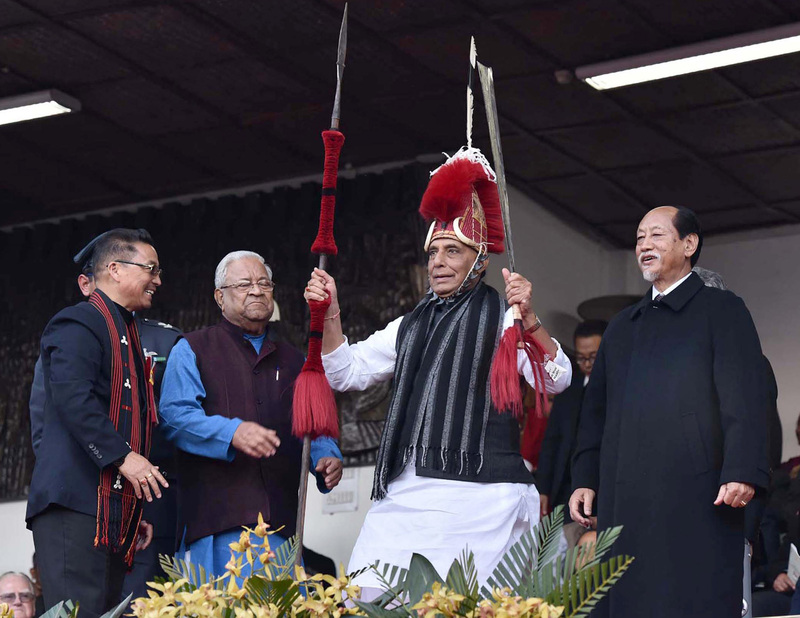 However, he also stressed that Naxalites give guns in the hands of the children of the poor and create hurdles in the development of remote areas and try to misguide the poor and the tribals. He also added that these Naxalites never give guns to their own children and Centre is committed to rooting out Naxalism completely from the country. 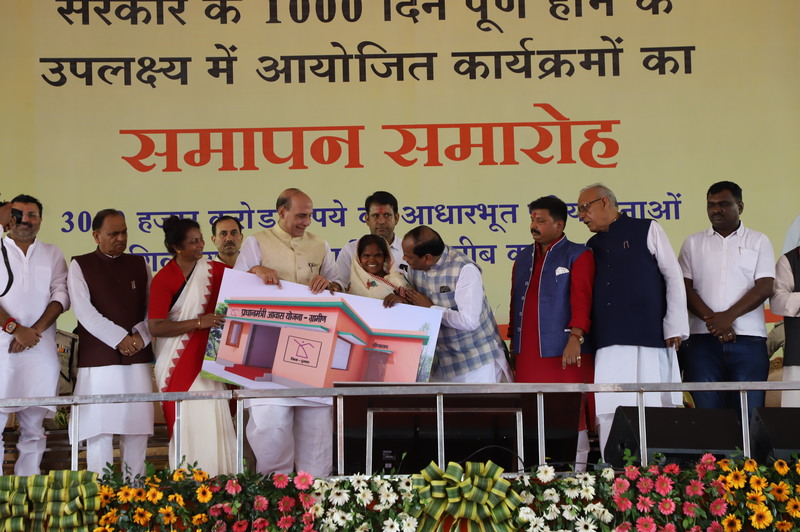 Applauding the work of Jharkhand Chief Minister Shri Raghubar Das in last 1,000 days he said that Jharkhand was created by former Prime Minister Shri Atal Bihari Vajpayee because it has immense potential for development and he is happy at seeing development taking place in different parts of the state. He added, “Jharkhand has done an outstanding job in last 1,000 days. The state was once ranked 29th in ease of doing business and now it stands on 7th rank”. Talking about how Prime Minister Narendra Modi government is committed to devolution of power and development of Jharkhand he highlighted the fact that because of an increase in the state’s share in central funds from the earlier 32 percent to 42 percent, it is the states like Jharkhand have benefited the most; which is reflected in the fact that in the central funds the state’s share has gone up from Rs 55,253 crore to 1.25 lakh crore. He also highlighted an important fact that the gross domestic product (GDP) of the state has reached 8.8% today and expressed his firm belief that by 2019 it will reach to double digit. Also, talking about various social welfare schemes started by the central government he said that for the first time in the history of independent India, any government decided to provide free gas to 5 million poor women by 2018. He also said that it is his firm belief that by 2022, the income of the farmers would become double. 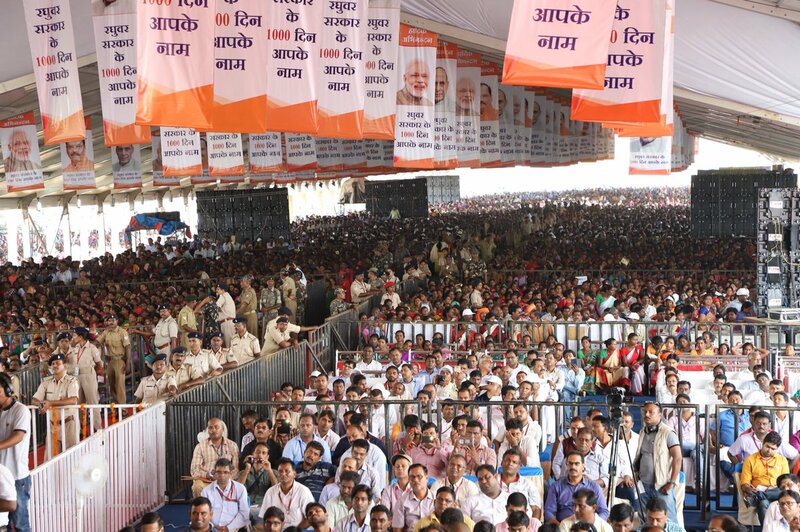 He also reaffirmed BJP government’s commitment towards the welfare of poor and marginalised.